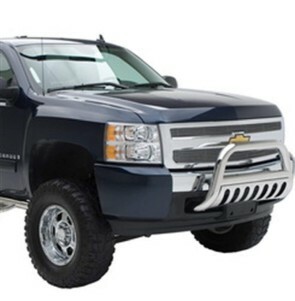 Shield the front end of your truck or SUV from the hazards of the highway, and do it in style. The ProMaxx Bull Bar provides a rugged barrier against rocks, curbs, and sticks, with rugged 304 stainless steel construction. 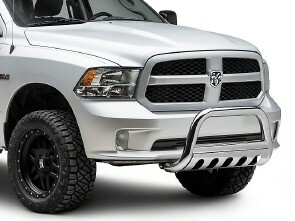 With its mirror-like Polished finish, this bull bar also gives you an extra touch of custom looks.